Check out Tobi's Michelle Low Back Shift Dress Wanted: a watercolor print dress for sunny Cali feels. The Michelle Grey Low Back Shift Dress has a sassy, airy cut with a v neckline and deep v open back. You'll love this floral print mini dress with sandals, or layered up with booties and a boyfriend cardigan. 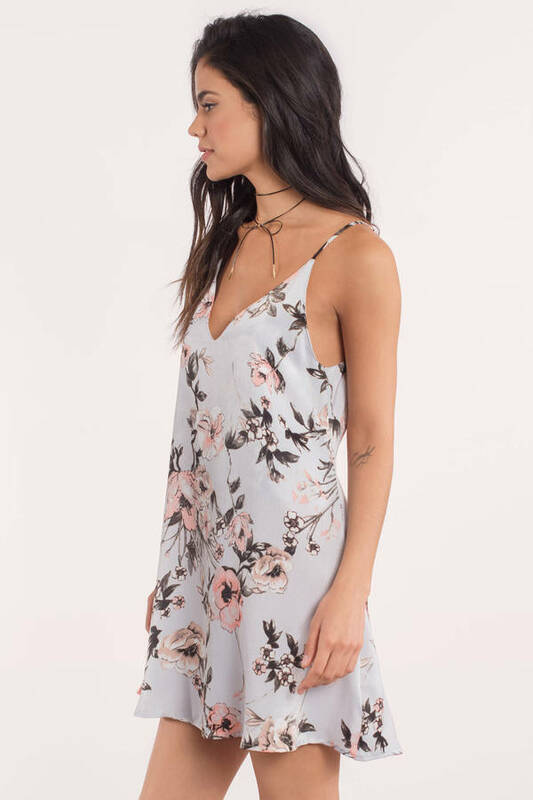 Wanted: a watercolor print dress for sunny Cali feels. The Michelle Grey Low Back Shift Dress has a sassy, airy cut with a v neckline and deep v open back. You'll love this floral print mini dress with sandals, or layered up with booties and a boyfriend cardigan.